After years of development, California start-up Skully plans to ship its first orders of 'the smartest ever helmet' just before Christmas. Skully AR-1 is a 'smart helmet' that features a powerful on board computer with your rear view projected onto the corner of your visor. The helmet also connects with your smartphone via Bluetooth so that you can make hands-free calls whilst riding. It also comes with built in mapping navigation, and even allows you to stream music. Marcus Weller, the man behind the Skuly helmet crashed his motorbike whilst looking at road signs, and came up with the idea of a helmet that projects all you need to see/hear right in front of you so that your attnetion never falters from the road. 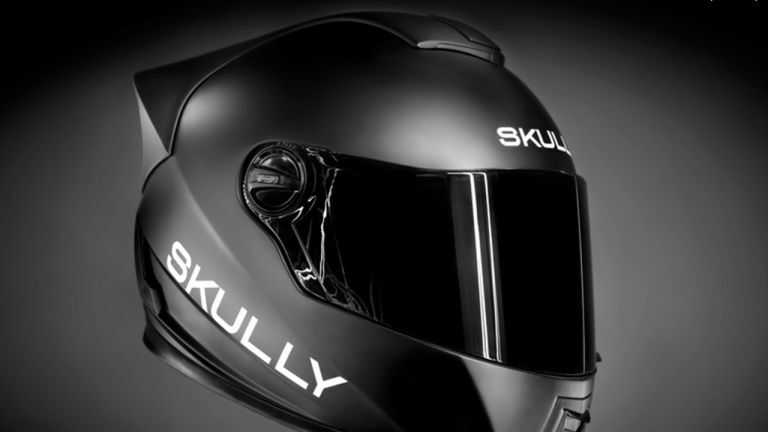 Since Skully announced their helmet back in April of this year, the start up company smashed its $250,000 funding target and now has a whopping $2,446,824 pledged to make Skully a product which can hit the helmet market. Shipping will commence of the product just before Christmas at a price tag of $1500 (Just under £1000), so if your thinking this could be a good gift for someone this festive period -it won't fall into the stocking filler category!